Perundurai is a state assembly constituency in Erode district in Tamil Nadu. It covers Perundurai and some parts of Erode City. It is included in Tirupur Parliamentary Constituency. The constituency is in existence since 1957 election. Elections and winners in the constituency are listed below. Thalavadi Taluk is a taluk of Erode district in Tamil Nadu. 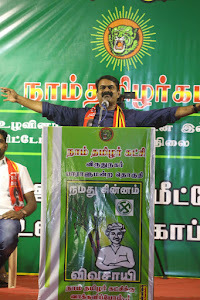 Thalavadi became a separate taluk in Erode district by the bifurcation of Sathyamangalam taluk, along with Modakurichi taluk and Kodumudi taluk on 8 March 2016. The new taluk will have control over the same geographic entity of the Thalavadi revenue block with Talavady as the headquarters. It falls under Gobichettipalayam Revenue division. According to the 2011 census, the erst-while Sathyamangalam taluk had a population of 331,993 with 166,964 males and 165,029 females. There were 988 women for every 1000 men. The taluk had a literacy rate of 60.43. Child population in the age group below 6 was 14,118 Males and 13,561 Females. After bifurcation, the present Thalavadi Taluk may have a population of 63,399 approximately. Sathyamangalam Taluk is a taluk of Erode district of the Indian state of Tamil Nadu. The headquarters of the taluk is the town of Sathyamangalam. Recently, this taluk has been bifurcated to form the new Thalavadi taluk in 2016, for the betterment of tribal people living in Sathyamangalam Tiger Reserve. It comes under Gobichettipalayam Revenue Division. According to the 2011 census, the taluk of Sathyamangalam had a population of 331,993 with 166,964 males and 165,029 females. There were 988 women for every 1000 men. The taluk had a literacy rate of 60.43. Child population in the age group below 6 was 14,118 Males and 13,561 Females. After bifurcation process, the present Sathyamangalam taluk will have a population of 268,594 approximately. Perundurai Taluk is a taluk of Erode district of the Indian state of Tamil Nadu. The headquarters of the taluk is the town of Perundurai. It falls under Erode Revenue Division. According to the 2011 census, the taluk of Perundurai had a population of 269,600 with 135,850 males and 133,750 females. There were 985 women for every 1000 men. The taluk had a literacy rate of 67.84. Child population in the age group below 6 was 10,358 Males and 9,818 Females. According to the 2011 census, the erstwhile Erode taluk had a population of 820,720 with 410,323 males and 410,397 females. There were 1000 women for every 1000 men. The taluk had a literacy rate of 73.5. Child population in the age group below 6 was 35,016 Males and 33,498 Females. Whereas after trifurcation of the taluk, the newly created Modakurichi taluk will have a population of 160,824 approximately. Kodumudi Taluk is a taluk of Erode district of the Indian state of Tamil Nadu. Kodumudi became a separate taluk in Erode district by trifurcation of the erst-while Erode taluk, along with Modakurichi taluk on 8 March 2016. The new taluk will have control over the same geographic entity of the Kodumudi revenue block with Kodumudi as the headquarters. It falls under Erode Revenue division. According to the 2011 census, the erstwhile Erode taluk had a population of 820,720 with 410,323 males and 410,397 females. There were 1000 women for every 1000 men. The taluk had a literacy rate of 73.5. Child population in the age group below 6 was 35,016 Males and 33,498 Females. Whereas after trifurcation of the taluk, the newly created Kodumudi taluk will have a population of 107,466 approximately. Bhavani taluk is a taluk of Erode district of the Indian state of Tamil Nadu. The headquarters of the taluk is the town of Bhavani. In 2012, Bhavani taluk has been reorganised to form the new Anthiyur taluk. It comes under Gobichettipalayam Revenue Division. According to the 2011 census, the taluk of Bhavani had a population of 4,61,086 with 2,34,352 males and 2,26,734 females. There were 967 women for every 1000 men. The taluk had a literacy rate of 61.86. Child population in the age group below 6 was 19,410 Males and 18,204 Females. After bifurcation of Anthiyur taluk, the present Bhavani taluk may have a population of 2,22,941 approximately.